This is a square Red Cross Stoves & Ranges porcelain sign. 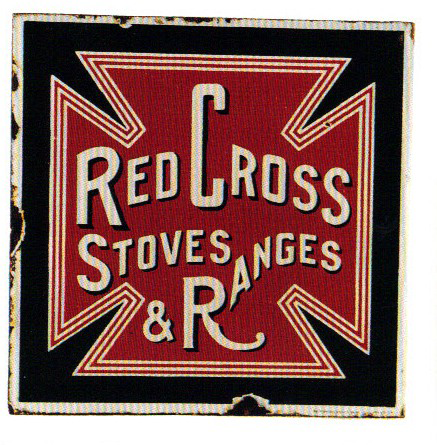 This particular Red Cross Stoves & Ranges sign is black and red with white text. It reads, “Red Cross Stoves & Ranges” and features a red cross against a black background.